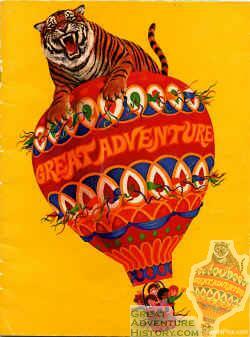 AVAILABLE: A 1974 souvenir book published during Great Adventure's first season. Colorful with plenty of early park pictures. Book is in Excellent condition (near mint). I like. But I am pretty sure you have what I have. lol. I would put pictures up but I cant. 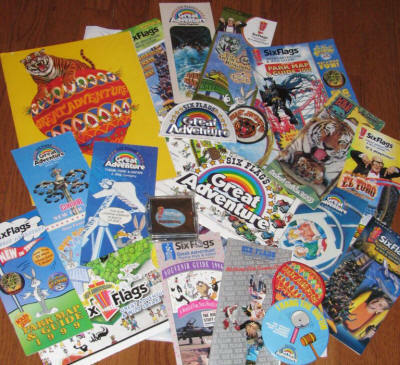 One of those Booklet's were in the Grab Bag I won, and they are VERY COOL. Lot's of great pics. of the park, and Warner himself, in it. That would be a fine addition to any collection. Lemme borrow it for awhile How the heck do I win a Grab bag???????? I wanna grab bag !! 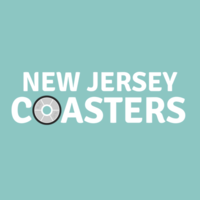 You just need to enter and win one of contests like "Where in the Park?" or "Where in the Dark?"! Send me your address and I will hook you up! Thanks! Youve made my day! Interests:Roller Coasters, Trains, Photography, Cinematography. My dad worked at the park the first two years. I have his old security badge and all but we never had one of these. What would you be willing to sell it for as I dont have anything to trade willing to give away. I have a piece of rolling thunder and a few other things but they are all in my collection. Items listed are for trades and not cash. Sorry. Any chance you have any early photos or slides from when your dad worked at the park? I would be interested in trading scans of those for the items you selected. Ok let me check. Do not have many things from that time at all. I will have him go through some things.